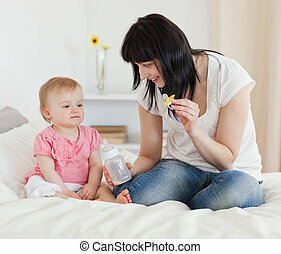 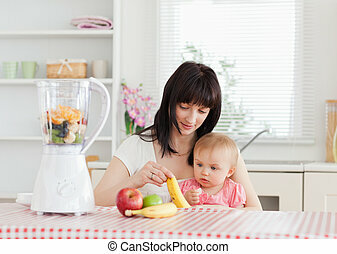 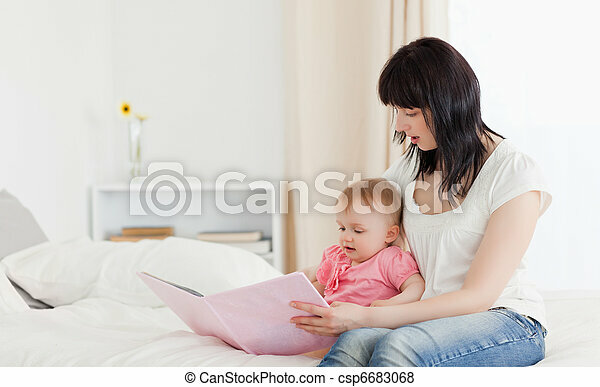 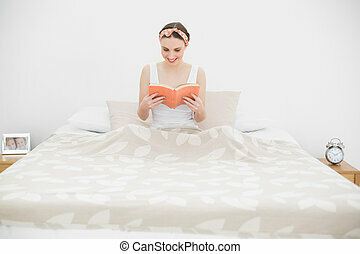 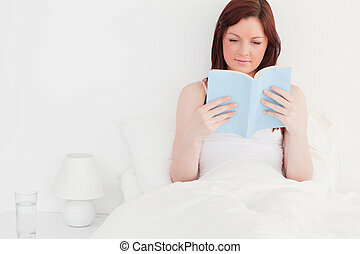 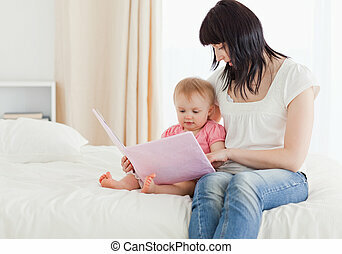 Attractive brunette woman showing a book to her baby while sitting on a bed in her appartment. 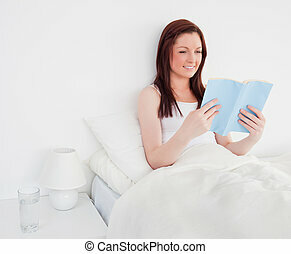 Cute pregnant woman touching her belly while lying on a bed at home. 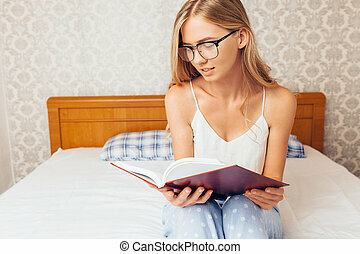 Woman reading a book while sitting on a white couch in a living room with library background behind her, domestic atmosphere.